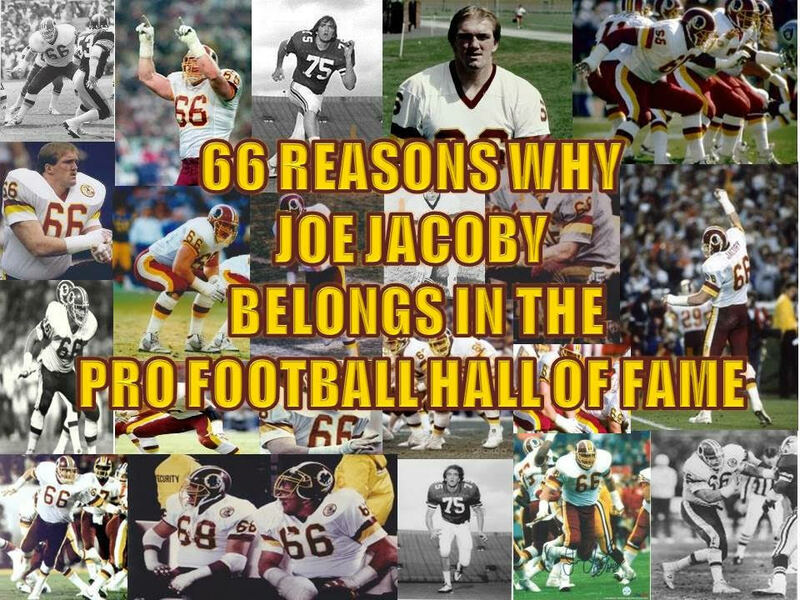 Recently we here at HTTR4LIFE partnered up with “The Hogettes” in an effort to get Joe Jacoby into the Pro Football Hall of Fame. Jacoby has been on the outside looking in now for several years since becoming eligible. It’s become our number one goal to assist in any way possible in this process, as the sportswriters of America have failed thus far in their duties to enshrine this legend of the game. Today, the Hogettes released the following video tribute to Joe’s career, as the campaign to get another Hog in the Hall of Fame has officially begun. Currently, there are 46 Hall of Fame voters, who for some reason, are keeping Joe Jacoby from enshrinement in Canton, Ohio. Their media affiliations and Twitter handles are listed below. Let your voices/opinions be heard by these individuals, who up to this point have remained in anonymity to most football fans, not in the know. Hail to the Redskins…and HAIL TO JOE JACOBY!